Karlville’s European Technology Center in the City of Lyon, France Hosted a Wonderful Tour! 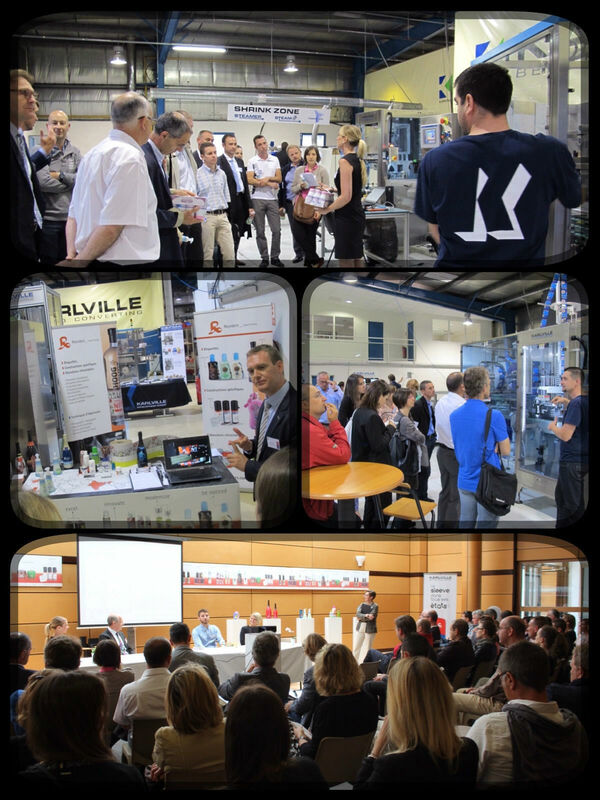 We here at Karlville would like to thank the hundreds of visitors we welcomed to our technology center in the city of Lyon. Our June 23rd Open House was a rousing success. We hosted roundtable introductions to our latest Sleeve innovations as well as machine demos and a facility tour. The wonderful event was co-hosted by Reynders, and we offered visitors a grand tour as well as machine demos of our cutting edge Sleeve Converting, Application, and Shrink Technologies. We also introduced our CEFMA Handle and Multipack pouch ranges. In our first roundtables, we discussed how to increase sales through the novel use of Sleeves customized with Special Effects. Alongside artist, Emmanuel Lesterlou, a Packaging Engineer for Danone Waters, and HP Indigo Business Development Manager, Christian Menegon, we introduced core concepts and techniques for standing out on store shelves through design, materials, and our exceptional products. In our second roundtable, Thierry Camus, Head of CP Création, Patricia Camus, Head of Sleeve, and Pack and Myriam Bulcke, packaging Engineer Décathlon, shared their industry experiences and knowledge with our guests, who were very receptive and listened intently. The overall message presented was, “People who take a risk on sleeve packaging never regret the decision!” The speaker’s testimonials demonstrated to the audience a concrete increase in sales thanks to their sleeve packaging choices. Our European Technology Center will remain at the disposal of our clients for machine demos, process training, product testing, and validations. Don’t wait any longer, contact us now. We will be glad to welcome you!